1st Arnniversary, despite some bugs ^^, more 2000 people have read our articles since January 2012, we hope that it helped you to find a job. We would like thank Job In Rwanda and RwandAir for their help and support. Here is a list of Job Opportunities in the Rwanda Aviation Industry for January 2013. We will updated as soon possible. Provide necessary technical and financial expertise in evaluation and selection of an appropriate company to construct the New Bugesera International Airport (NBIA). Rwanda has recently experienced a drastic increase in air traffic due to tourism and increased economic activity making the existing airport outdated and too close to the expanding urban center.The new Bugesera International Airport in the pipeline will receive its first flight in 2016. 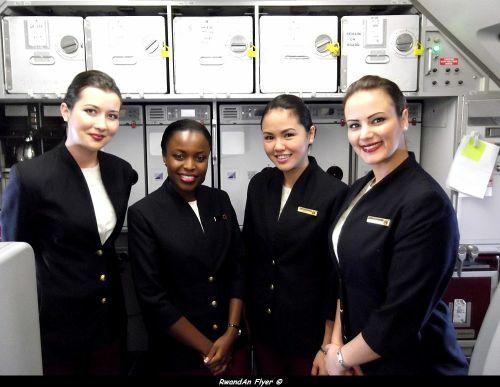 Design and implement HR policies in line with RwandAir’s mission. Participate in the design to formulate and agree the commercial and quality objectives and development (short, medium and long term) of the range of RwandAir Products and Services within the designated region. IT Administrator will be responsible for administrating RwandAir Wide Area Network (WAN), Local Area Network (LAN) and servers’ configuration. Perform weight and balance functions and in so doing promote aircraft, passenger, baggage and cargo safety for the airline. To ensure efficient and effective check-in and boarding of passengers with in compliance with carriers with SAL`s and customer Expectation.